Just in! Points of Light Institute/HandsOn Network in partnership with New Orleans Mayor Landrieu are mobilizing widely and quickly in the wake of one of the nation’s worst-ever environmental disasters. The 2011 National Conference on Volunteering and Service will be hosted in New Orleans… and with13 HandsOn Action Centers serving the oil spill-impacted states of Alabama, Mississippi, Florida and Louisiana, HandsOn will recruit and train 10,000 volunteer leaders and mobilize 50,000 volunteers to devote an expected 1 million hours to support the region’s environmental and economic recovery. In addition, HandsOn will conduct a series of on-the-ground and virtual “boot camps” to train volunteer leaders to manage others and develop projects to meet community-specific needs, such as creating job re-training and job search clinics; restoring parks and open spaces; and assisting small businesses in operations, marketing and finance to recoup losses or improve business sustainability. To sign up and Get HandsOn for the boot camps, please visit www.handsonnetwork.org/nola2011. HandsOn volunteer leaders and member organizations immediately engaged in the Gulf as the oil spill unfolded and are actively working to manage and direct volunteer resources. HandsOn affiliates in south Alabama and Mississippi are training volunteers to observe the coast and report signs of oil to authorities. United Way of the Gulf Coast opened a Volunteer Reception Center in Harrison County and has one operating in Hancock County to refer volunteers to available opportunities. HandsOn affiliates in Florida are clearing the beaches of litter and debris to help expedite the spill clean-up. AmeriCorps alums, members and VISTAs—who are national service recruits already—are being dispatched by HandsOn help lead others in recovery operations. Immediately after the flooding in Tennessee, Hands On Nashville mobilized thousands of volunteers for flood relief. In just over a month, they had organized 17,000 volunteers who contributed an estimated $1.5 million worth of relief work. 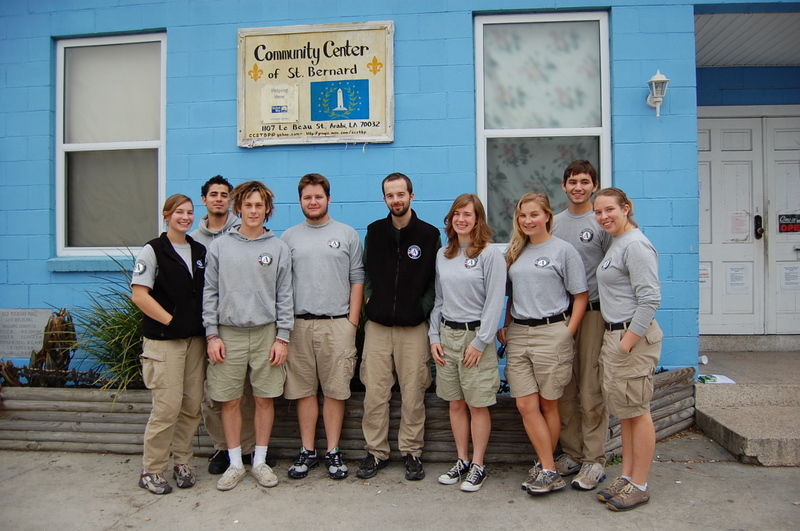 In the wake of Hurricane Katrina, HandsOn established new Action Centers in New Orleans and Mississippi, mobilized thousands of volunteers from around the world and delivered an estimated $13 million worth of recovering and rebuilding in just one year. HandsOn New Orleans and HandsOn Gulf Coast continue to mobilize volunteers to support the recovery. Great to see good things happening in the midst of this tragedy.